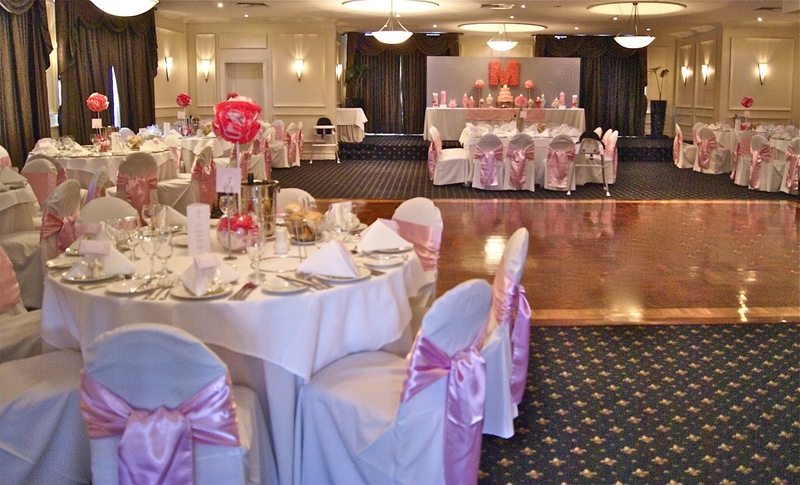 The Inspired Occasion designed and managed a formal luncheon Baptism for 80 invited guests at Lakeside Banquet and Convention Centre, Taylors Lakes. 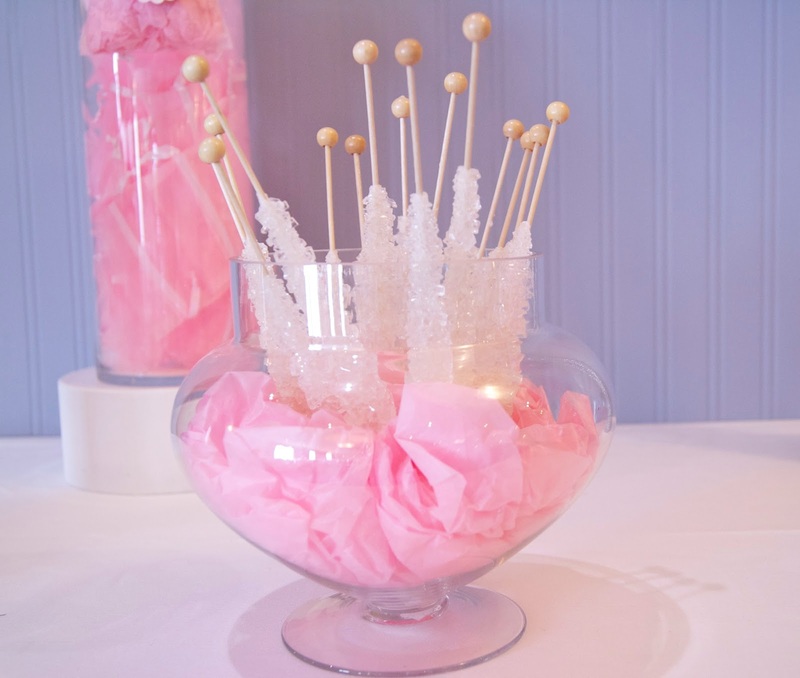 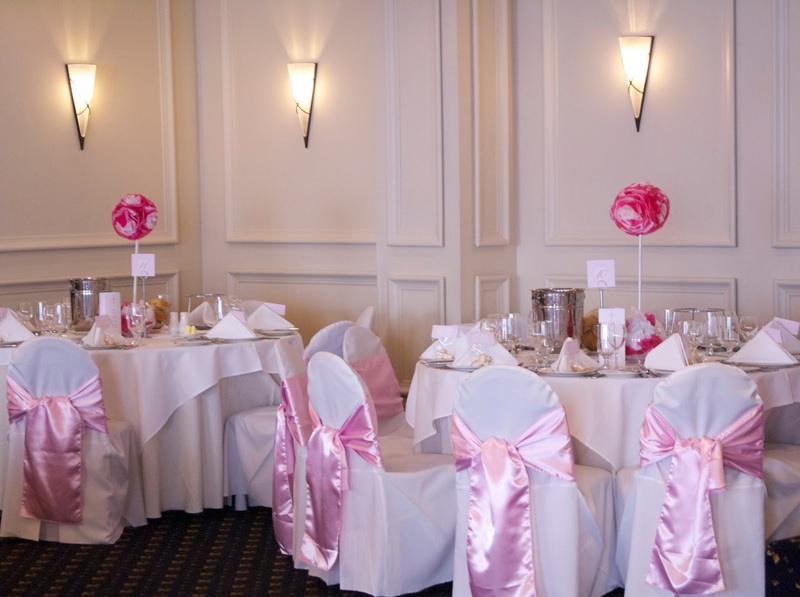 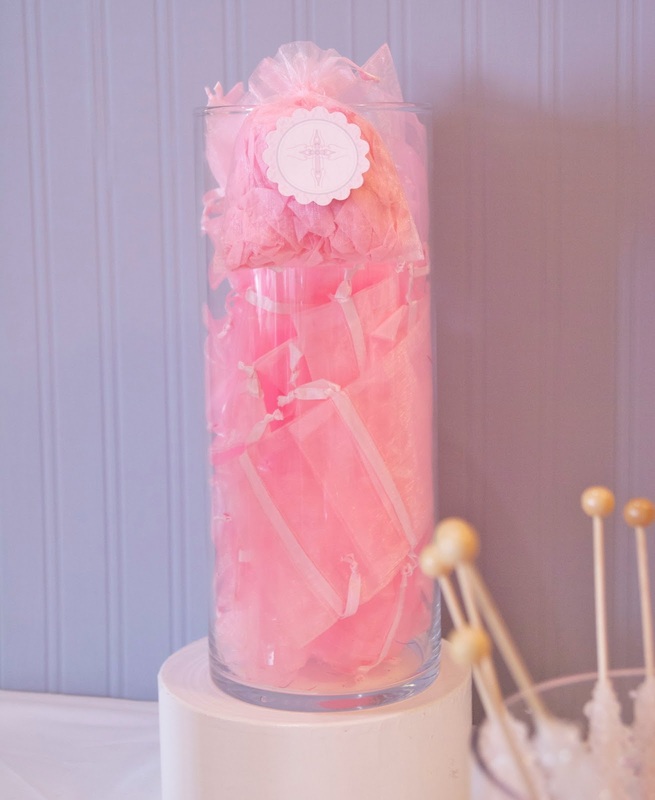 The Clients brief was to create a feminine yet girly, sophisticated Candy Station that would incorporate centre pieces which could be duplicated to enhance the 9 guest tables. 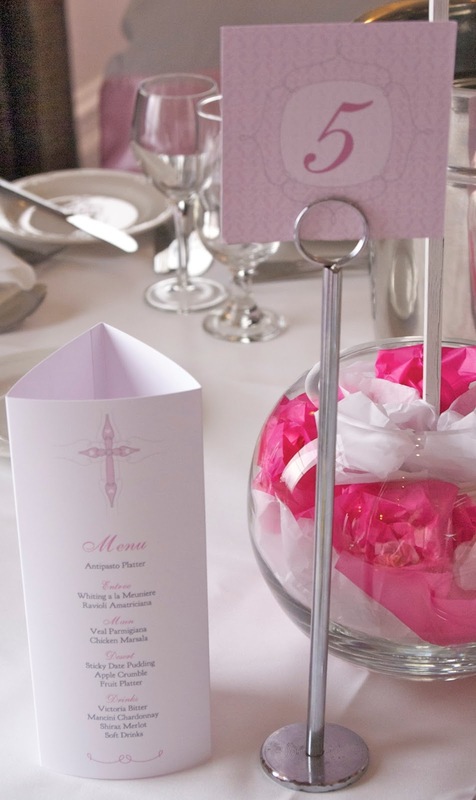 All concept development including stationary was to be colour coordinated to match the invitations, this included table numbers, menus, decorative dots, biscuit toppers, and the commissioning of a personally designed and printed table cloth. 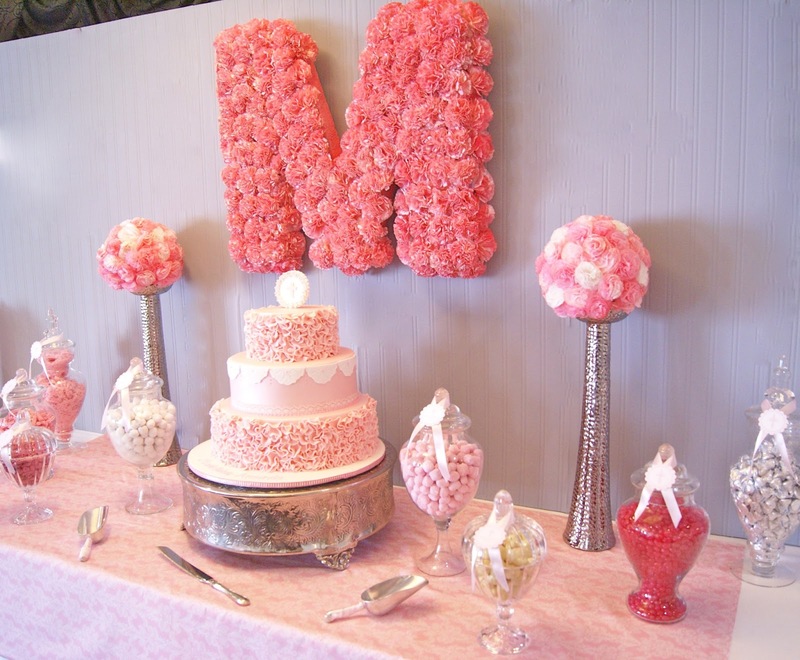 So with this (and budget constraints) in mind we decide to embark on making Pink and White matching topiaries that could be mounted on our beautiful inspired silver candle sticks, smaller versions of these were then made to create complimentary topiaries to be used as centre pieces for the guest tables. 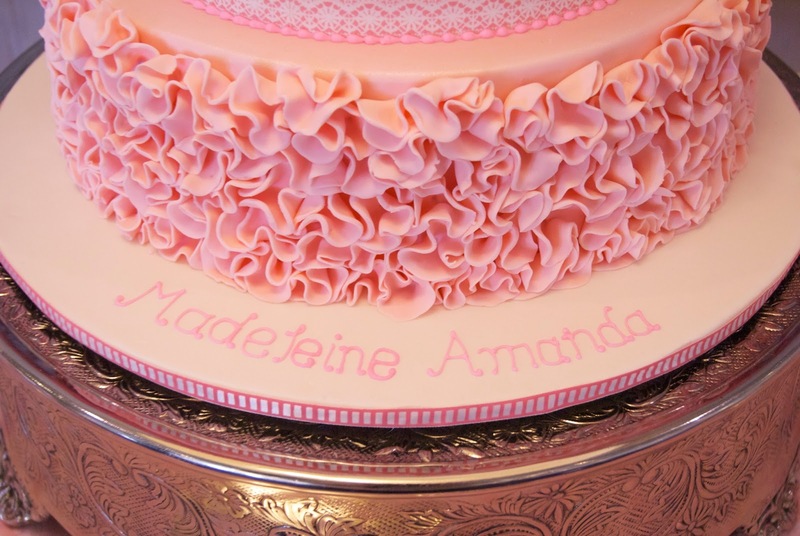 Long hours were spent making over 150 tissue flowers but “wow” what a great result. 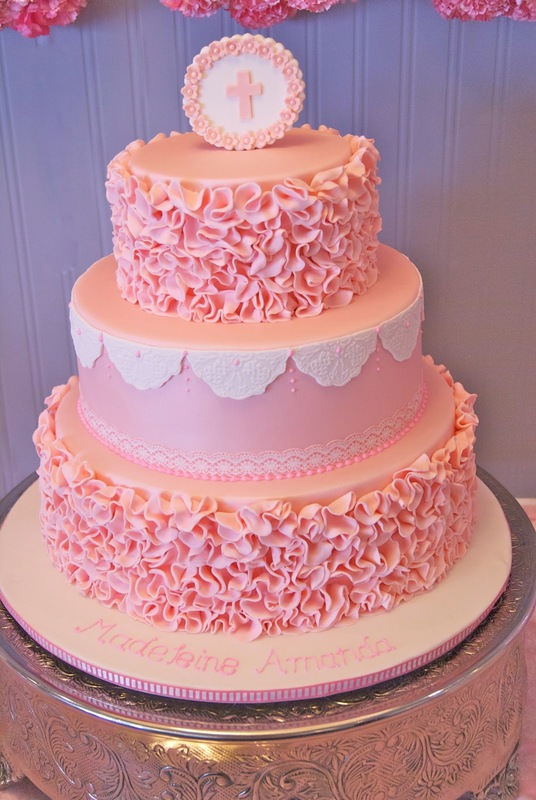 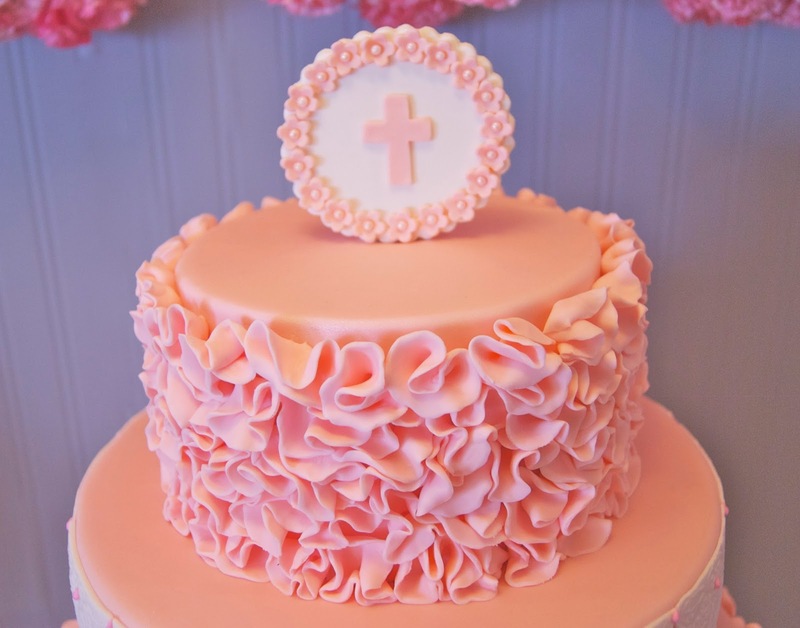 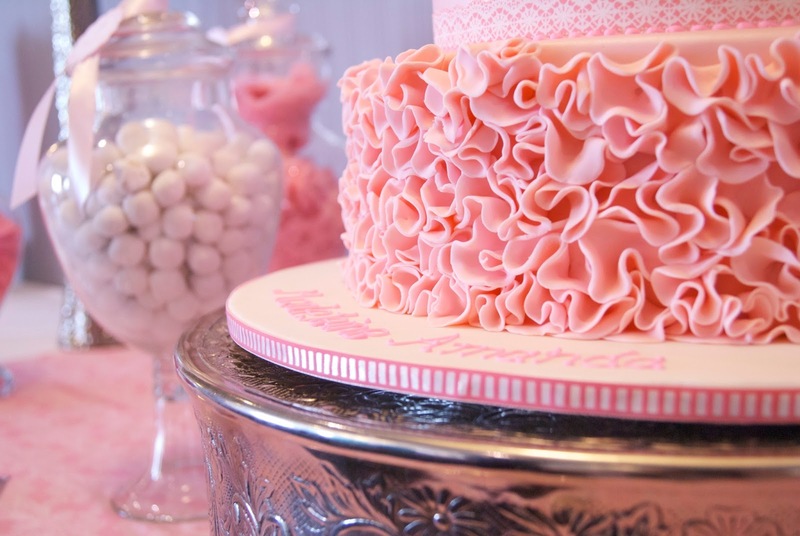 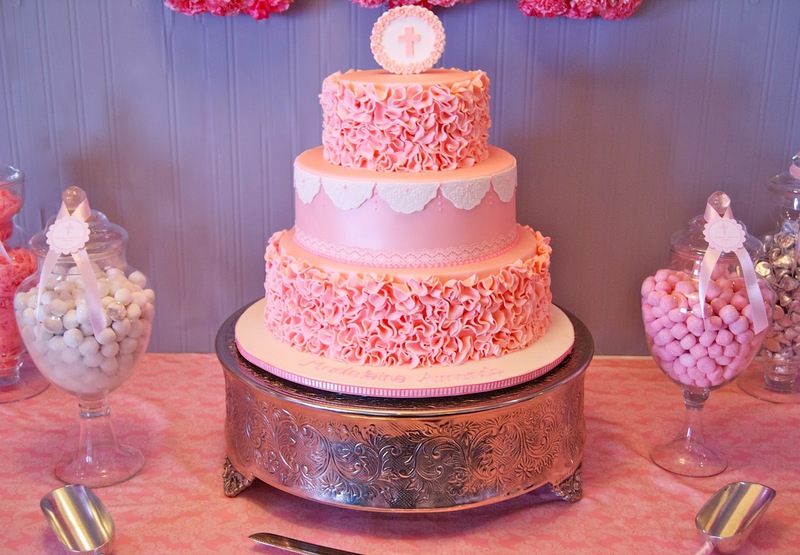 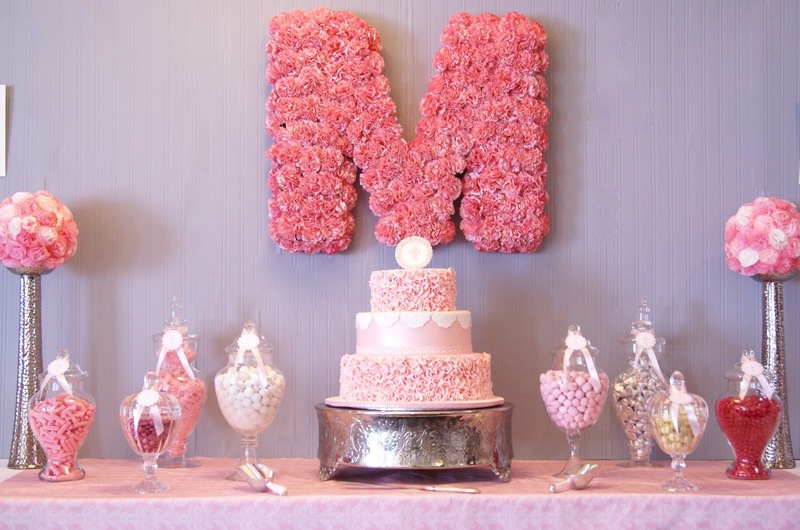 A stunning 3 tier pink baptism cake was showcased on our newly imported silver cake-stand. 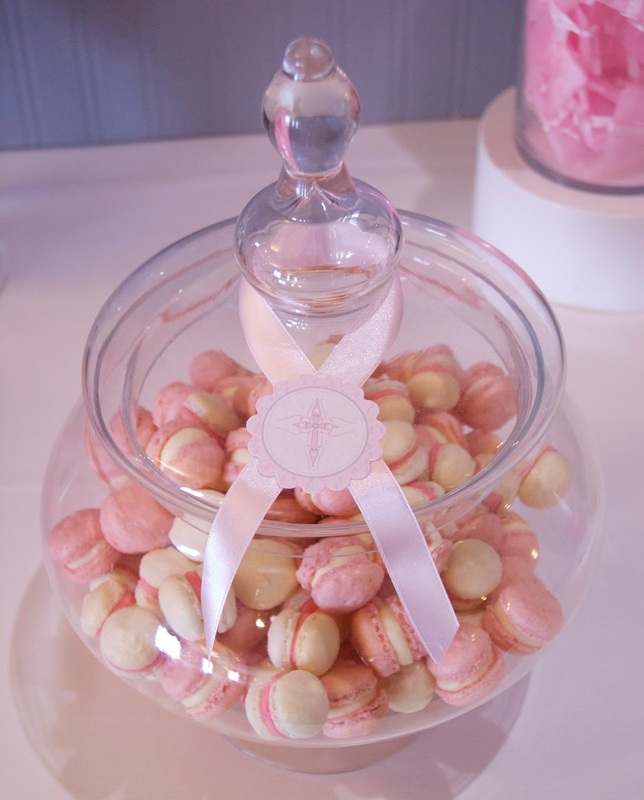 To enhance the table further and continue the colour theme we incorporated pink and white bonbons, jelly beans, choc drops, musk’s, Hershey’s kisses, swizzle sticks and our ever popular inspired baked mini raspberry Macarons along with long cylindrical jars filled with pink organza bags for guests to fill with candy at the end of the function as a thank you gift. 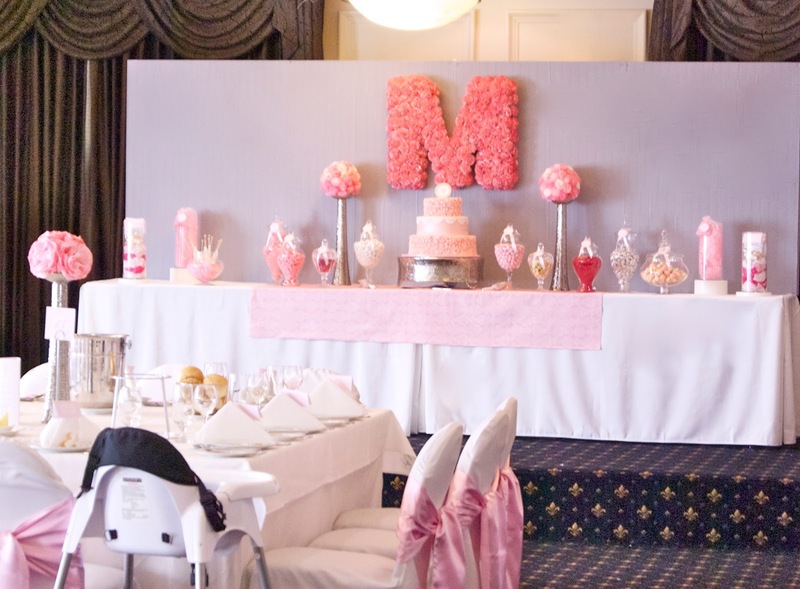 The overall look was set against table mounted backdrops which were designed and built by the Inspired Occasion using grey textured wall paper and a handmade M (representing the name of the baby being baptised) was placed in the centre as a focal point. 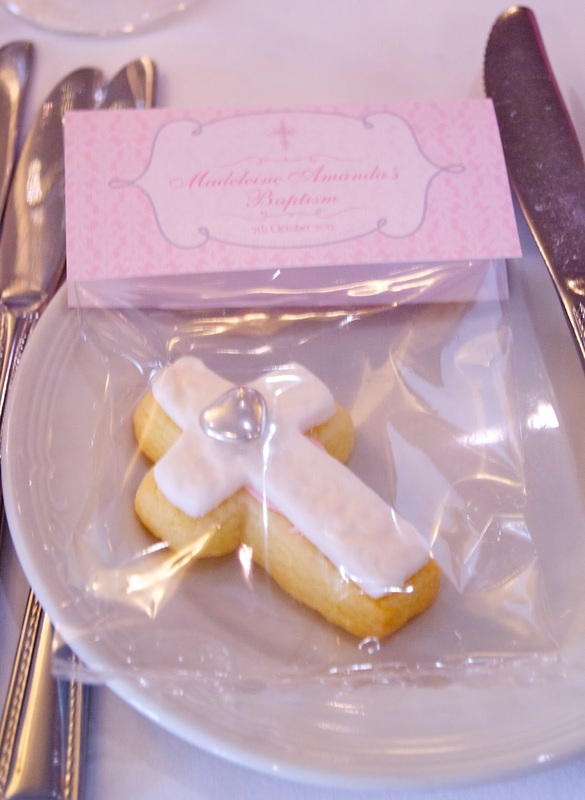 All 9 guest tables were set with colour coordinated, table numbers, menus, handmade pompom centre pieces, and as an additional thank you gift guests received individually bagged with matching stationery topper Inspired baked and designed Cross, Sugar Biscuits. 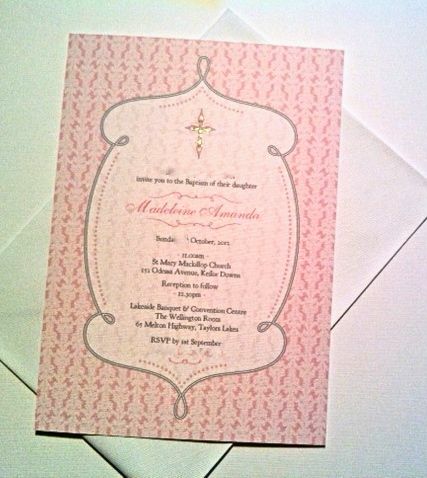 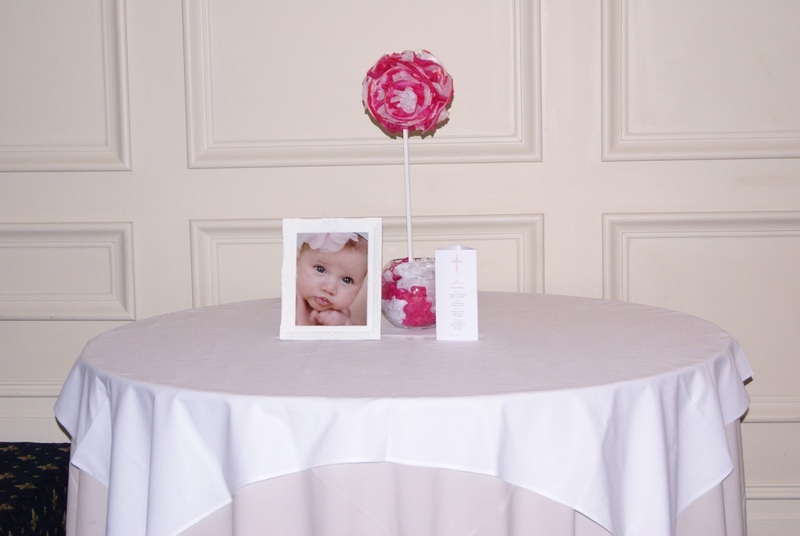 At the entrance of the venue the overall feel of the event was completed by adding a table place seating guide, present table with themed centre piece and framed image of the baby being baptised.